This release from Victor Kwesi Mensah, or Vic Mensa as he is more commonly known, is the Chicago rapper’s fourth in EP form. This EP follows Mensa's first complete studio album The Autobiography which was released in July 2017. HOOLIGANS is an eight track record with six of the tracks including guest appearances. The collaborators include Ty Dolla $ign (In Some Trouble), G-Herbo (Rowdy), Charlie Wilson (The 1 That Got Away/No Shoes), Mr Hudson (Deserve It), G-Eazy (Reverse) and The Neighbourhood’s Jesse Rutherford (Dancing In The Streetz). With only two songs not including a second artist, maybe Vic Mensa has tried to fit too much into this EP. 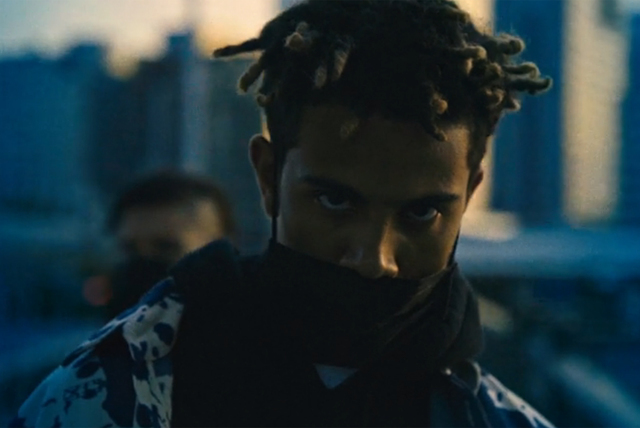 Mensa has been involved in his fair share of clashes in recent years, notably with the late Xxxtentacion, which have resulted in some negative backlash for the artist. Here he shows that what others think of him doesn’t really phase him and uses some answer phone messages to demonstrate the type of abuse which sometimes comes his way at the end of In Some Trouble. These messages are a good introduction to Rowdy and Reverse, two tracks made up of explosive lyrics. The record also focuses on introspection, Mensa’s mental health and his relationship with drink and drugs, the single Dark Things being a prime example of this. The rapper makes sure to squeeze in a love song or two (The 1 That Got Away/No Shoes) before bringing it all to a close with some encouraging self-validation on Deserve It.